Taulia Tagovailoa is good, but the four-star will have to wait his turn. 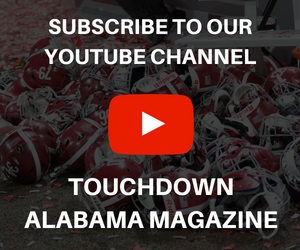 Prior to the start of spring practice on March 8, concerns sparked within the supporters of Alabama football in terms of the backup quarterback role behind Tua Tagovailoa. 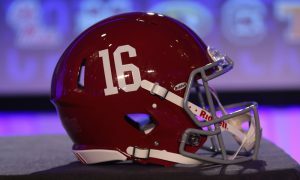 The thought that raced through the minds of most was if something were to happen to the returning junior and Heisman finalist, Nick Saban and the Crimson Tide would be doomed offensively next season. Despite the program signing two skilled signal callers in this year’s recruiting class, Mac Jones was the one Saban wanted to emerge and lead with confidence. 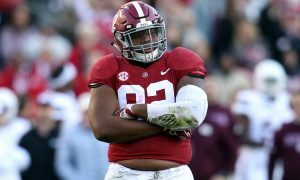 If one took a poll for the guy who carries the most popularity behind the elder Tagovailoa, the redshirt sophomore would be far from the list. However, it was Jones that turned heads over the weekend at Bryant-Denny Stadium in front of a reported 60,000+ for the annual A-Day Game. He performed well last spring, but the saga of Jalen Hurts drained every opportunity for the Florida native to get adequate reps. 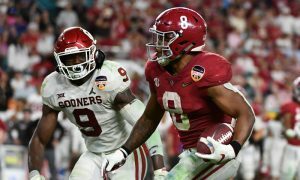 This time around, Jones is getting more than playing time and he looks to prove he can navigate the offense just as effectively as Tagovailoa. Regardless of a wet field, he totaled 271 passing yards on 19 of 23 completions (82.6 percent) with two touchdowns to one interception. The maturity he exuded for White in its 31-17 win over Crimson was something that came from learning experiences in 2017 and 2018. When mistakes happen, Jones is normally frustrated and is down on himself. 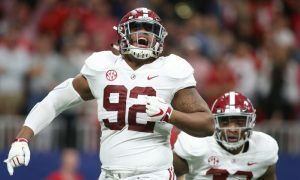 While this caused more issues to happen earlier in his time at Alabama, he showed over the weekend that he has learned how to focus for the next play. 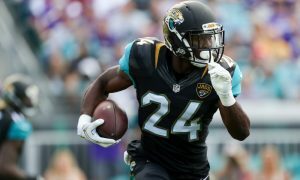 After tossing an interception, Jones locked in and returned with two huge touchdown drives that ignited the second-team offense. His 29-yard strike to tight end Kedrick James on a crossing pattern tied the game at 10 at halftime, and his 22-yard score to receiver Xavier Williams gave White a 17-10 edge. 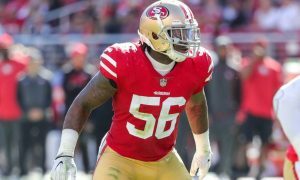 He was not the most valuable player that he was in 2018; nevertheless, the former four-star positioned a freshman for the honor. John Metchie brought in a game-high 133 receiving yards on five catches. Eighty-nine of his yards came on grabs from Jones off three receptions. Eight of Jones’ 19 completions (42.1%) went for either first downs or scores. In comparisons to his counterpart, the product of The Bolles School outplayed Tagovailoa. Although there is no need to push the panic button, the Hawaiian native didn’t deliver the stellar outing that was expected. 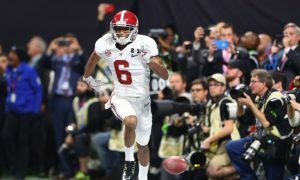 He had some good throws, especially a 54-yard strike to Jerry Jeudy for a score in the fourth quarter, but he also had moments of miscommunication with receivers. Tagovailoa completed just 51.4% of his throws (19-for-37) and had 265 passing yards with one touchdown and one interception for Crimson. 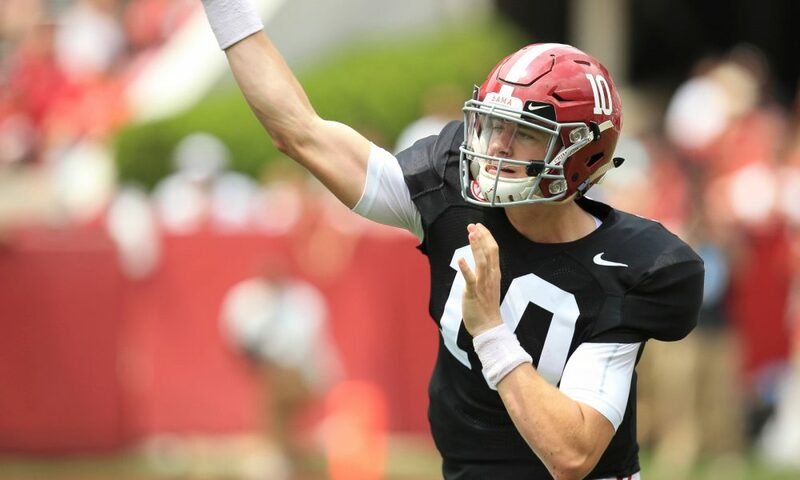 Saban said the former five-star was “obviously” the starting quarterback to begin spring ball and while no one is against it, seeing Jones run the offense with precision should be a positive sign for Tide to note as we enter the summer. With A-Day in the books, Jones has locked up the No. 2 QB role and it will be interesting to see how he continues to grow in the offseason.